Queso Verde Corn Dip is creamy cheesy, bubbly, packed with flavor and one of the easiest, tastiest appetizers you will ever make! I am always in search of AH-mazing, crowd pleasing appetizers, and when they also happen to be easy, no fail and stress free, I have to force myself not to make them just for a crowd of one. 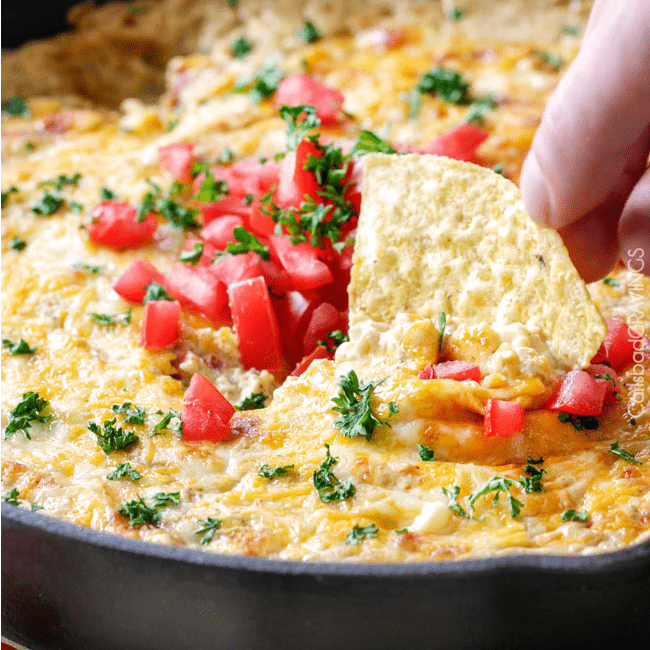 This Queso Verde Corn Dip is one of those appetizers and bonus, its all made in one skillet! Simply saute your onions for a few minutes then add your corn, bell peppers and garlic and sauté for a minute more, then stir in your salsa verde that gives this dip an amazing depth of flavor, followed by cream cheese, sour cream and mayonnaise, that give this dip an amazing depth of creaminess, followed by Monterey Cheese and Cheddar Cheese which give this dip an amazing depth of cheesiliciousness! 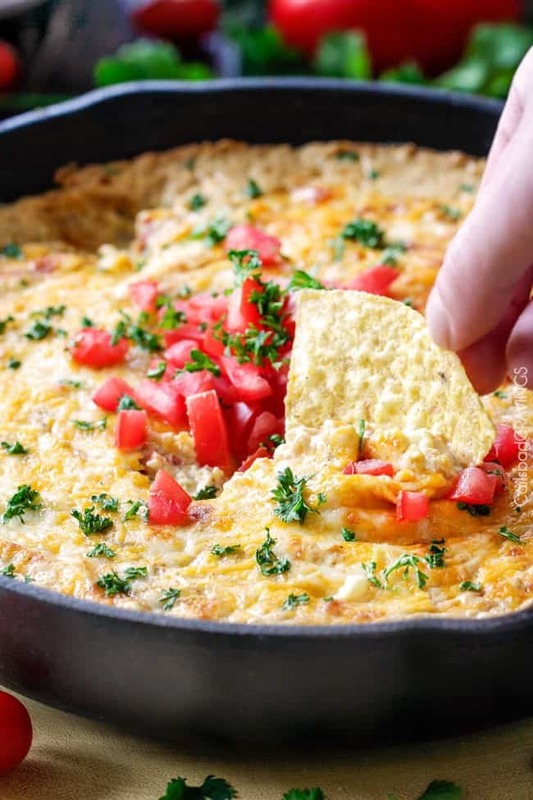 Top with more cheese, bake for 20 minutes, and that’s it – crowd pleasing, easy, one skillet Queso Verde Corn Dip is in the house! And soon to be in your happy belly. 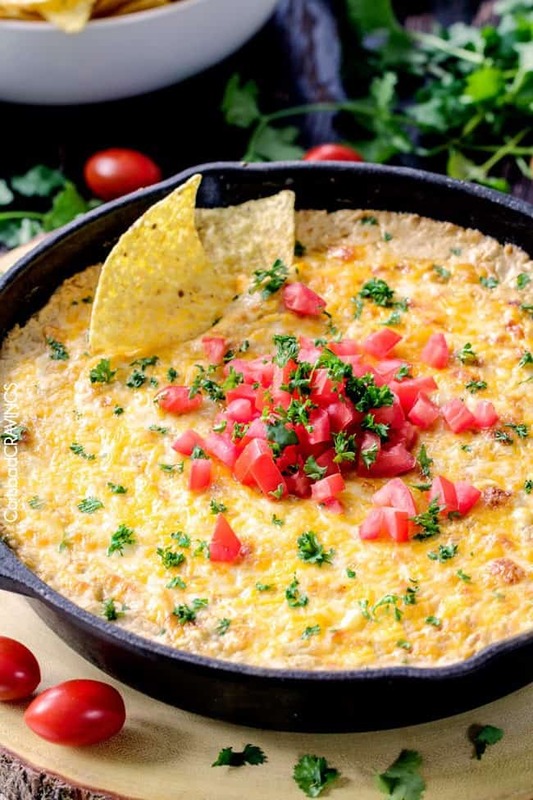 You can devour the Dip right away or transfer to a slow cooker to keep warm for 2 hours or so while you cheer on your favorite team and come back for seconds, thirds, fourths….But additional servings can only happen if its a small crowd. I vote for a party of one. Stir in salsa verde, cream cheese, sour cream, mayonnaise, spices ¾ cup Monterey Jack cheese and 1¼ cup cheddar cheese. 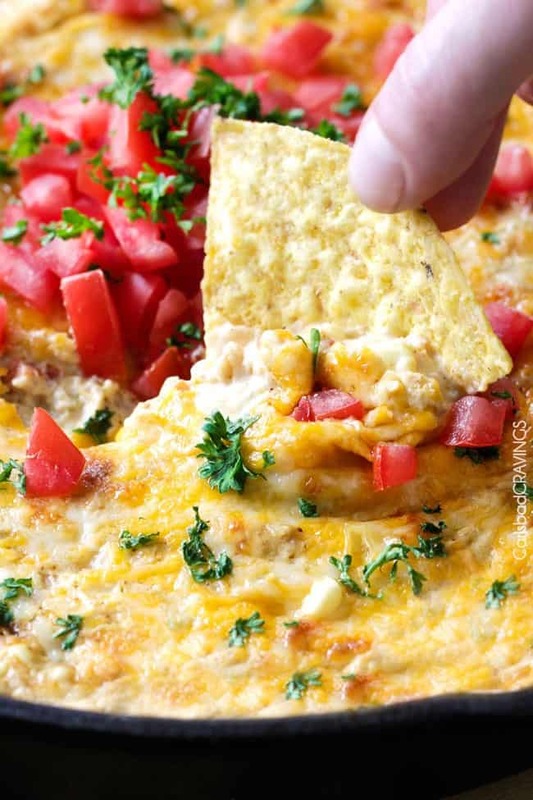 Spread in an even layer and top with remaining cheeses. Bake at 350 degrees F for 20- 25 minutes or until bubbly. Broil until cheese is golden. You can transfer dip to slow cooker to keep warm for 2 hours or serve immediately. Garnish with fresh cilantro and chopped tomatoes if desired. Anything with loads of cheese is a crowd pleaser if you ask me! This looks amazing, I would love to try this the next time we have guests over. I’m drooling! Can’t wait to make this!